Suwehan is one of the nicest wild beach of Nusa Penida. Probably not for long time because its access is now quite easy. My first visit was in September 2016. The road to get there have improved a lot since then. During my last visit I drowned my cell phone, I had ignition problems with my scooter and I dropped my drone in the wet sand. But Suwehan remains nevertheless one of my favorite beaches! 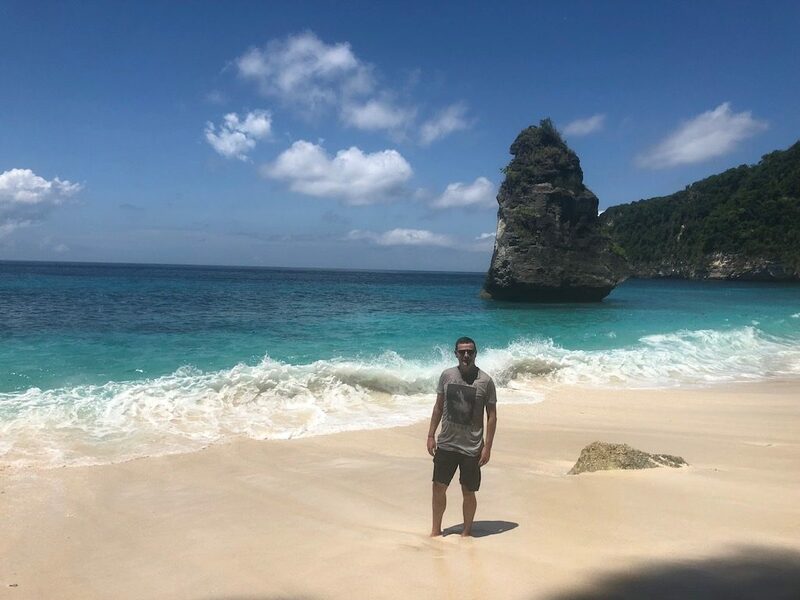 Suwehan is one of those very beautiful beaches of Nusa Penida which remains quite wild. 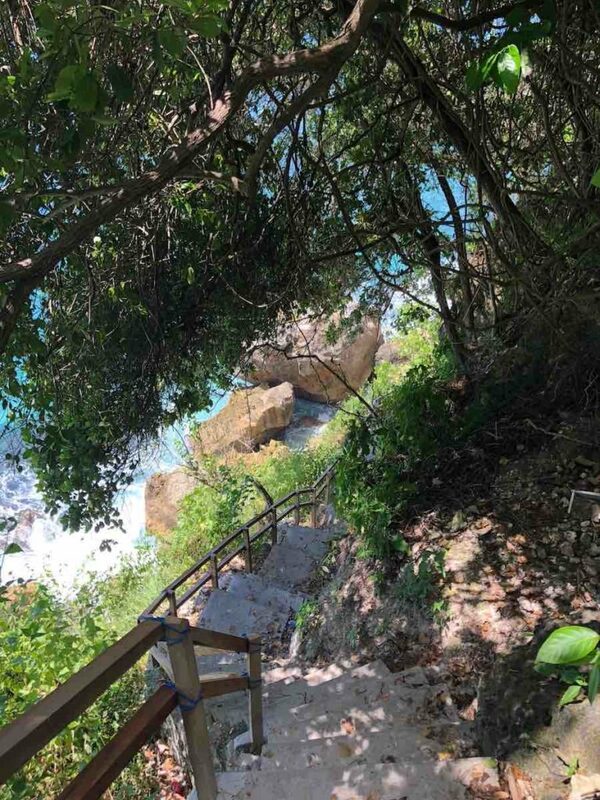 It is now quite easy to get to the beach with a brand new staircase. The way down till the beach will take you less than twenty minutes. It is close to Atuh Beach and it may be a good idea to combine the visit of both beaches in the same tour. Last minute : part of the staircase fell down from the cliff after the recent earthquake. It is not anymore possible to go down to the beach until a new staircase is being built. What is the best time to go to Suwehan? In any case it is better to arrive at Suwehan before noon. Because the beach is facing east and is located right down an impressive cliff. So in the afternoon the beach is in the shadow of the cliff. Swimming will be less friendly and the light will not be as good for your photos. Try also to avoid high tide because the beach will be smaller. And close properly your backpack. Because during my last visit a wave stronger than the other ones rebounded against a rock and, as improbable as it seems, filled completely the pocket in which was my cell phone. If you have a drone, it is also better to fly from the top of the cliff because the GPS location might be more difficult down there. The views of Suwehan Beach are breathtaking. At the bottom of the recently built stairs you will have a first overview of the beach. And you will also see in the distance the rocks that are in front of Atuh Beach. But to have a beautiful view of the rock that sits in the middle of the bay you will have to go to the other end of the beach. And that’s why it is better to avoid high tide. Since the main road through the interior of Nusa Penida is new, it is pretty easy to go to Suwehan. Recently most of the road network of the North of the island has also been asphalted. Count one hour driving, 45 minutes on a renovated road and 15 minutes on a poor condition road, regardless where you come from. The best way to get there is to download Google Map offline and to follow the directions.